Hong Kong Dolphinwatch Ltd has been operating ecological tours to see the Indo-Pacific humpback dolphins in Hong Kong since 1995. 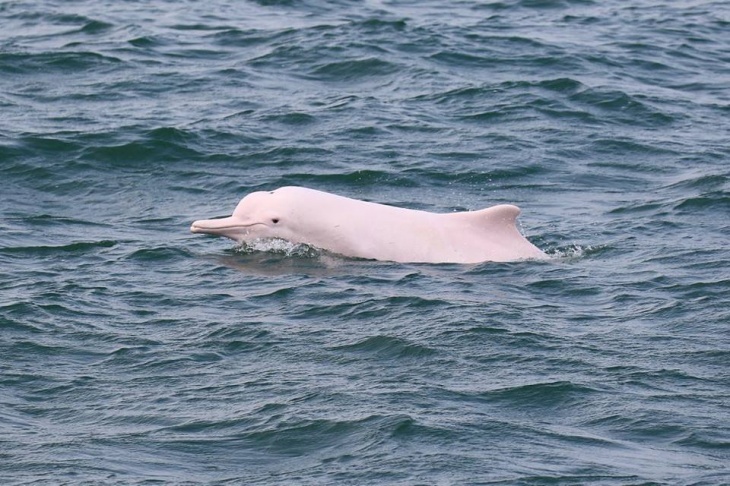 Join Hong Kong Dolphinwatch on one of tours and enjoy a day out with these beautiful pink dolphins! to generate revenue for research and campaigns. Each trip includes a talk on the environmental situation, and passengers are given handouts with information on how they can help the dolphins. Hong Kong Dolphinwatch specialize in running trips to see the pink dolphins in Hong Kong every Wednesday, Friday and Sunday throughout the year though schedules are subject to change. Generally, trips are scheduled in the morning but additional trips in the afternoon or occasionally on Saturdays or other days of the week may be offered. Find more booking information here. 4-5 hours (approximately 3-4 hours at sea depending on dolphin sightings, sea conditions and traffic). If you have any questions, contact Hong Kong Dolphinwatch by phone, which is attended to on each and everyday of the year. Opening hours: Wed 08:50–14:00, Fri 08:50–14:00, Sun 08:50–14:00.